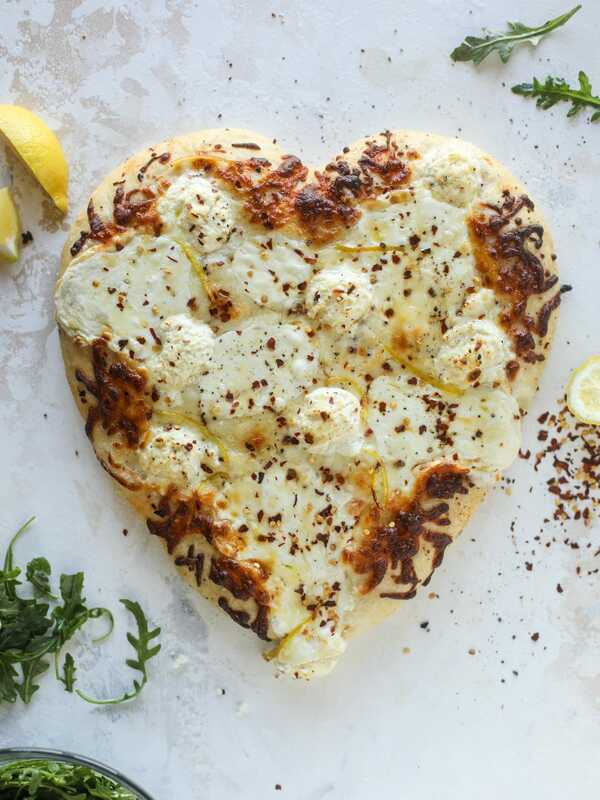 Pro tip: shape your dough into a heart to make the best white pizza! 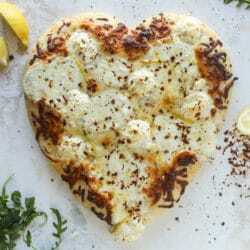 Heart-shaped white pizza?! Be still, MY heart. Your pizza recipes are the BEST! first time i made pizza was following one of your recipes. So good! 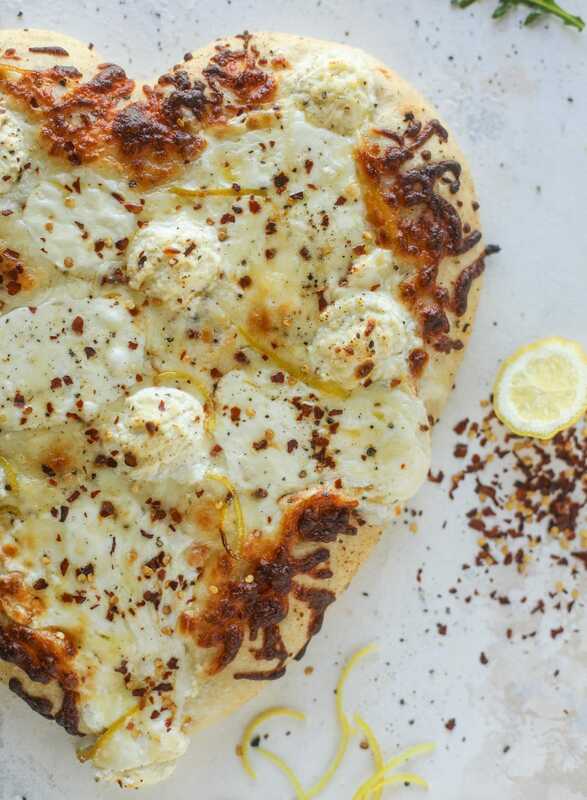 Now that’s a white pizza I can eat, no cream sauce, just cheese and garlic and flavor! It pops right out of the mold once solid and is too cute on top of heart pancakes/waffles/breads on Valentine’s morning. Omg but HOW GOOD is Michigan & Trumbull???? I’m so stoked to make this at home – even though I’ll never pass up a trip to Federal Galley. Thank you!! wow, white pizza is one of my favorites from my local pizza place, since sometimes I just don’t want the tomato sauce, love the heart shape too, thank you! Yum! I see in your pictures you seem to have parchment paper in between the dough and the peel. Do you bake your pizza with parchment in between the dough and the stone or was the parchment just for pictures? I always have the hardest time transferring my pizza to my preheated stone and parchment seems like a brilliant idea. I’m so glad you published the actual white pizza! White pizza has oil and garlic instead of tomato sauce NOT any sort of creamy sauce. Your recipe sounds DELICIOUS and looks cute too! THE CUTEST!! And it looks delicious! i am definitely making this! OMG I just want to face plant into this pizza!! I made your original pepperoni heart-shaped pizza for Galentine’s a few years ago and my friends still rave about it. Kids don’t like homemade pizza. They also want to take it from outside. That looks so cheesy and delicious!